I believe that customer service should be the number one priority in any business, but it is especially important in the bankruptcy and debt settlement field. When people are struggling financially they may be stressed, nervous and scared about their situation. The prompt returning of telephone calls and e-mails is important so as to help alleviate anxiety. You can also take comfort in knowing that you will be speaking with an attorney every time you call or come in for an appointment. I ALSO BRING MANY YEARS OF EXPERIENCE AS A HOUSTON BANKRUPTCY ATTORNEY TO MY CLIENTS. As a bankruptcy lawyer in Houston, I primarily help people and companies file Chapter 7 bankruptcy and Chapter 13 bankruptcy. I also help both individuals and companies resolve other debt issues. I have been practicing as a Chapter 7 lawyer in Houston and as a Chapter 13 lawyer in Houston for over 5 years. 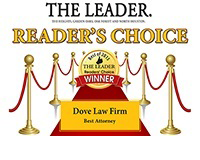 If you have questions about how a Chapter 7 bankruptcy or a Chapter 13 bankruptcy in Houston (or the surrounding areas) may be able to help you or your business, please call today to schedule a free consultation. Even if bankruptcy is not right for you and your situation, I may be able to help you through the process of debt settlement, if needed. My job as a lawyer is to educate you about all of your options when seeking a financial fresh start so that you can make an informed decision that is right for you. I hope that you find this website to be helpful and informative. Information on a website, however, is not a substitute for the knowledge and advice of an experienced bankruptcy attorney. Once you have had a chance to look over our website, please fill out the contact form or give us a call to talk more about the specifics of your situation. I will get back to you the same business day, if possible. Take your first step towards a fresh financial start!